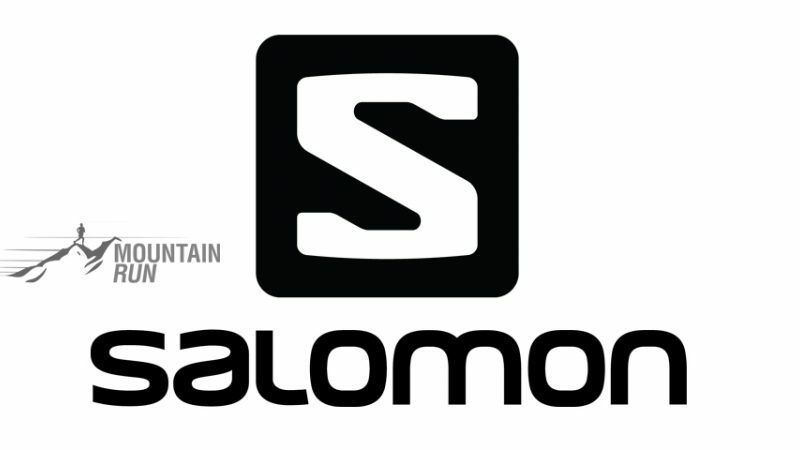 Home » News » Keswick Mountain Festival 2016 Salomon Trail Races - Race Directors report. 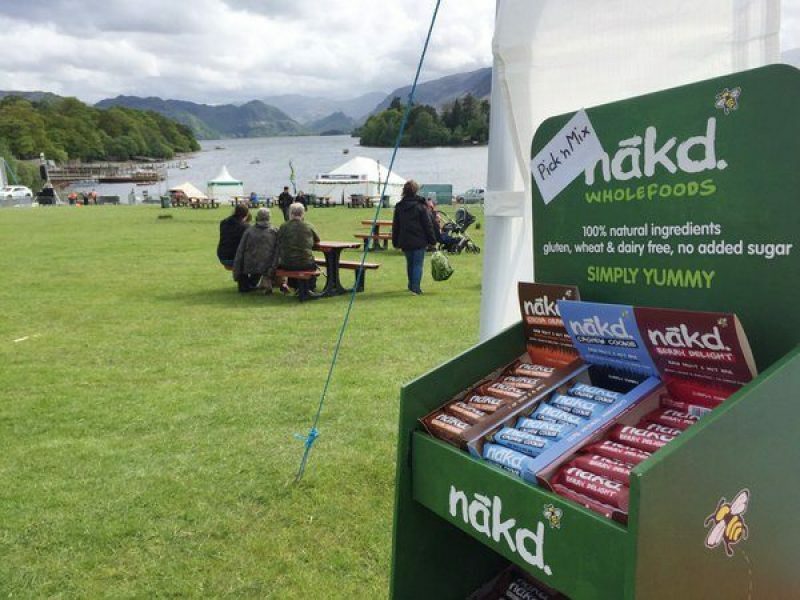 The Keswick Mountain Festival is one of the top outdoor events in the UK. With 4 trail races, 1 fell race, 2 triathlons and a Sportive to go it you will struggle to find more at any other event. Read up on the Race Directors report from 2016. 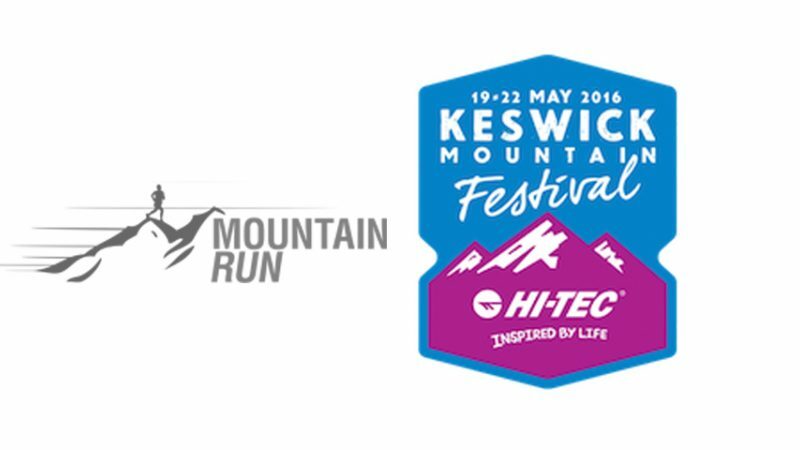 The Keswick Mountain Festival Salomon Trail Races - Race Directors report 2016. Firstly we'd like to thank all the competitors for entering and turning up to race. In total there were 1411 competitors out on the 4 course comprising of a 5km, 10km, 25km and 50km routes. This is out of roughly 1900 entrants. Its usual to get drop outs on the day of the event or before. People are injured, things happen or the weather can put folk off. Of course the weather this weekend for running was impeccable and we'd like to thank KMF for bribing the weather gods into playing ball! The course was changed to remove the road crossings and make it safer, better to manage and a more flowing route. We also had the obstacle of routing the 5km out of the busy events field and negotiating the new triathlon bike transition in the carpark. (we had this issue for the 25k as well) I feel the route worked really well and feedback from the competitors was great, adding weight to my own thoughts. I have had some comments about the route being more than 5km. This is such a hard thing to get right and to be honest we are all going to measure it differently. My GPS track and software measured the route at exactly 5km pre-event. The start and finish locations in reality on the day were slightly different to my measured route and so I know there was roughly 200m added to the distance. The course is now set and we will be keeping it the same, so that the records from this year can be a marker to beat for next years elite athletes. It was great to see 252 competitors line up of the start and head out of Crow Park for a fast and furious lap of Cockshot Woods, down to Calfclose Bay and back up the shores of Derwent Water for the extra figure of 8 in Cockshot Woods before arriving back in Crow Park. It made for exciting racing and we hope if you spectated you got the spectacle you were expecting. With some minor course adjustments at the start and the finish this was pretty much the same route that we ran in 2015, we will be keeping the course the same for 2017. The start was the same as the 5km, running out of Crow Park to massive cheers from the crowd following a barrier controlled 3m lane into the carpark past the Triathlon Transition. We had a pinch point at the entrance to Cockshot Woods, then 500m of running and another pinch at crossing the road. We always knew this would be conjested and advised the runners that it would be, but with 421 runners in the field it proved to be a bit too much of a long wait for some of the back markers. We are sorry for this and hope to grow the event for 2017, so will be looking for a better solution to elevate this issue. The course then heads out into Great Woods via Castle Woods to run along a great technical track under Falcon Crags and up into Watendlath. We new the bridge at the south end of Watendlath was out of action, due to Storm Desmond, but had monitored the river the week running up the race and the morning of the race and decided that there wasn't an issue and 421 runners crossed without incidence. Checkpoints: We know now that the CP's were not stocked well enough for 421 runners and for this we apologies. We will be looking at the supplies again for 2017 and making sure you have plenty to go at here! Course Markings: We put a lot of effort into marking up the courses for this year and we know many of you agreed with us, that the markings were excellent. We will always try to improve in area's you (or we) feel are lacking, but the feedback about the course markings and the marshal positions out on the course were great. Thats a job well done by the course setting team, thanks guys. New course records were set again this year for both the Mens and the Ladies races. 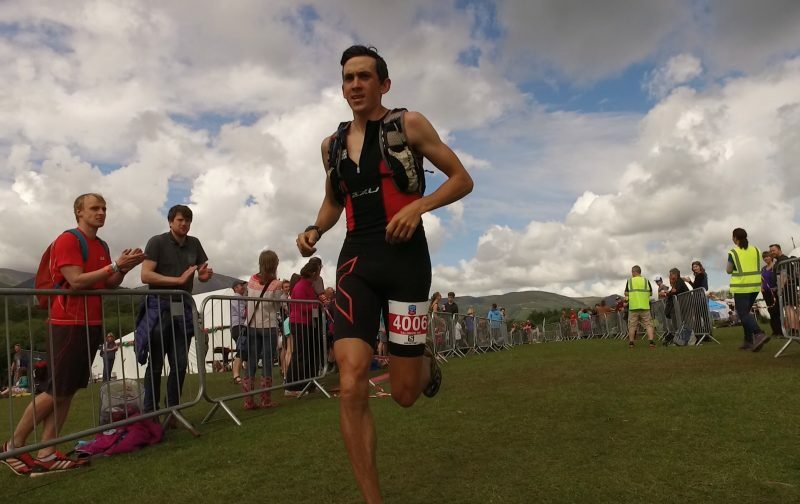 Eoin Lennon - Team Mountain Fuel/Hoka One One put in a great effort finishing in a time of 1:51:15 breaking the old course record by over 2 minutes on Konrad Franks time of 1:53:38 for 2015. We know a couple of the boats actually beat the marshals to the pier at Hawes End landing and we're really sorry about this and the confusion it caused. It was remedied extremely quickly and efficiently by the start team at Low Brandlehow and was due to the launches arriving a little early at the pier. Gaynor Prior was the course manager here and with many of her own races (http://www.pureoutdoorsevents....) we know Gaynor is perfectly skilled to handle the 10k and more. Runners set off in 2 waves of roughly 200 at the Low Brandlehow start field and then 3 waves of 100 there after, from 0900 to 1300. The 2nd wave proved to be the elite wave with Ricky Lightfoot (sponsored by Salomon and Leki UK) racing hard against Mark Lamb (Team Mountain Fuel and course record holder from 2015). Penny Browell took the win for the ladies in a time of 52:15 taking the womens record from Lynne Calaghan, the 2015 record holder who's time was 53:02. KMF's very own operations director Neil Levene had some fun in the 1st wave of the race completing in a time of 57:27 and was quoted saying"It was amazing, but I'm going to find it hard to walk tomorrow!". Starting at 0600 on Sunday morning the early bird certainly caught the worm for this day with the weather, the sunshine was great and the views were stunning. Its always a worry sending runners out on to a course that is over 50km and fully marked, as no matter how bombproof we make the markings there is always the chance that someone will think it funny to clear some, or that they are taking litter away from the Lakes. Thankfully all the markings remained in place. We have someone to prove the technical sections, but its hard to reach some of the remote areas before the runners get there. We understand that 4 runners took a detour into Great Woods and we are extremely sorry you had this error, we will be looking at improving the markings to make sure you make your way up onto the moor above Walla Crag for next year. Checkpoints: Again the levels were lacking and we know we ran out of water, electrolytes and food on some for the mid pack runners, however the brilliant marshal team that we have the pleasure of working with did their best to cover these holes and transported much needed supplies to each CP as the race progressed. We know it was hot out there, so well done to all the competitors for keeping their cool, when they could have overheated in more ways that one! We will endeavour to make sure that the CP's are overstocked for 2017. Course markings and race goodies: The courses were marked 10 times better this year a competitor was quoted saying on the KMF FaceBook page and we do agree. The same competitor also mentioned about the CP's and a better Tee for next year, stating the race, distance and having the sponsors logo on it. Point taken and we're on it to improve these areas 100% for 2017. Thanks, without feedback we will always miss some improvements. 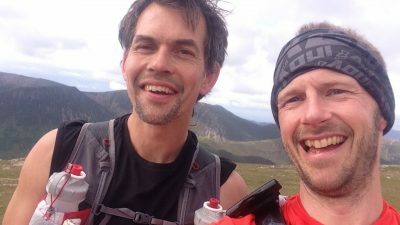 Barefoot Aleks Kashefi was quoted saying on twitter "If @CarlsbergUK planned #ultramarathons, theyd not be as good as @Mountain_Run@KeswickFestival 50k ultra, thanks for this Aleks. With an all star cast of top mens and womens runners in the Salomon 50km Ultra Trail we knew it was going to be an exciting race. James Appleton - Team Mountain Fuel and the original 'tough guy' took the second place and still smashed the course record in a time of 4:44:51, with still more than 15 minutes to spare! Jack Casey completed the trio and finished in 3rd with a time of 5:05:50, just outside the 2015 record. All eye's then turned to the women's race and it was hot hot hot! Beth Pascal, running for Raidlight UK, took the win and gave a sprint finish as she cruised over the line in a time of 5:21:32, obliterating the course record from 2015 held by Sarah Kay-Norman with a time of 5:53:25. This was a 30 minute margin. Beth was quoted in saying "If I'd known there was a record to beat I would have run faster!" Well done Beth. Sophie Grant took the second place in an amazing time of 5:31:36, still well inside the 2015 course record. In fact the first 4 women broke the women's record from 2015 with Rachel Campbell just sneaking inside with a time of 5:53:38. We'd also like to thank Team Nutrition for supplying all the electrolyte drinks to you thirsty racers, these guys bust a gut like no others I have seen at events to try and keep you hydrated out on the course and when you get back to the finish. Thanks Robin, Carrie and Louis for all your hard effort and work! We appreciate it heaps & heaps. And of course thanks to Rupert Bonnington for moving and still imagery at the events centre and out on the course. These guys get everywhere to try to cover the action. Well, its been a long weekend and I hope I have thanked all those I should. If I have missed someone on the team, then I'm really sorry, you can slap me next time we meet. Please feel free to send feedback to charlie@mountainrun.co.uk as we are completely committed to improving these everts year on year. We look forward to seeing you all next years for another mega Keswick Mountain Festival with plenty of sunshine, trail racing, festival dancing, beer and wine drinking and what ever else makes KMF such a special event. Bring on 2017. Make sure you bring your COWBELLS next year, adios!